NEW 10TH ANNIVERSARY ALBUM “X” SET FOR RELEASE IN CANADA ON NOV. 25TH! 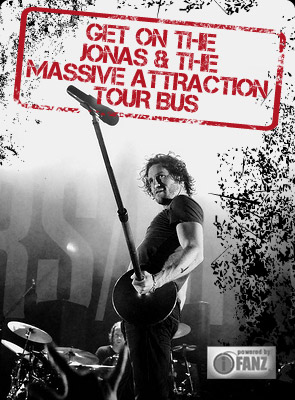 Jonas & The Massive Attraction are excited to announce that their new 10th Anniversary album “X” will hit stores across Canada and be available for download on TUESDAY, NOVEMBER 25, 2014. In 10th Anniversary fashion “X” will feature 10 songs and be out just in time for Christmas. The band is hard a work in the studio in Montreal recording the new album. More details will be unveiled in the coming weeks!